Back in September, it was announced that like a number of other retailers, Home Depot had been hacked. The intruders stole the credit card and debit card information of 56 million customers. What was not announced until now is that the hackers also took the email addresses of those customers. The Home Depot breach was even larger than the pre-Christmas breach Target experienced in 2013. In the Target breach, an estimated 40 million customers were affected. Other retailers and businesses have also been hit by hackers. These retailers include Neiman Marcus, Michaels, Staples, P.F.Chang’s, UPS, Sally’s Beauty Supply, Goodwill, and Kmart. In January 2014, retailers were warned by the FBI to expect more breaches to occur, citing “POS malware” as a significant risk. Hackers got into Home Depot systems using a vendor’s log-on credentials, and then installed malware on hacked self-checkout registers. Although it has been eliminated from the systems since it was detected, it ran undetected for months, and was designed to be able to evade anti-virus software. What can consumers do to help minimize their own risk for falling victim to future breaches of retailer or other company information? Forbes offers a few tips. When it comes to plastic, use an actual credit card rather than a debit card. Consumers have more protection with credit cards than they do with debit cards. In addition, a debit card is generally linked to a bank account. Don’t pay with plastic, at all. This means using Paypal, Apple Pay or cash. Keep a special email account for shopping-one that is separate from what you use with family and friends. This helps stop hackers from getting further than your “junk” email account. More retailers are offering alternative payment options to customers, such as using Paypal or Apple Pay. But there are other options, as well. Walgreens accepts a variety of mobile payments from services such as Google Wallet and Softcard, in addition to Apple Pay. Apple Pay, for example, is also accepted by McDonald’s, Macy’s, Texaco, Chevron, Nike, Office Depot, Toys “R” Us, Whole Foods and Subway. Another option is to use cash to buy a prepaid credit card for specific shopping or purchases. Many can be reloaded as needed. A perk is that if a hacker steals the information, it is to a card that has a low or zero balance, and no link to a bank account. It isn’t only the average person who has issues with their credit cards from time to time. As President Obama talked about the need for tighter security against credit card data breaches, he mentioned that his credit card ended up being declined last month at a New York restaurant. The apparent reason for it being declined was he didn’t use it enough, and its use ended up being flagged as possible fraud. Fortunately, the First Lady came to the rescue with her credit card, which was accepted for payment for the meal. On a more serious note, the President talked about the need for better credit transaction security. “There is a need to act, and to move our economy toward stronger, more secure technologies that better secure transactions and safeguard sensitive data,” the White House said in a statement. Over the last year alone, data breaches at some of the country’s largest companies, such as Target and Home Depot, has compromised the financial data of more than a hundred million Americans. Stronger measures against identity theft now include the chip and pin technology. Britain, in switching to the new system, had already cut down identity fraud in their stores by around 70%. Unlike old cards that relied on a magnetic stripe and personal identification code or signature, the new cards will have embedded chips as an added security measure. This makes it harder to produce counterfeit cards. However, upgrades to the retailers, banks and payment processors have slowed down the transition to the new system. The move only gained traction when news of payment system breaches at Kmart, Target, and Home Depot hit the public. The Payments Security Task Force said that the new technology is expected to go live by the end of 2015, starting with 46% of US stores upgrading to the new payment terminals. 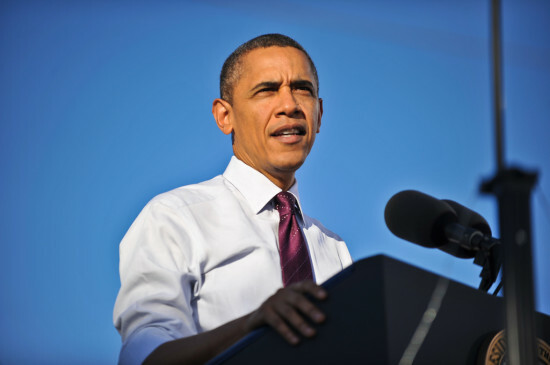 Obama also mentioned a plan to support the upgrade of small businesses to the new system by American Express. Visa also has plans for a program that would educate consumers as well as retailers to the new technologies, to ease growing pains as both consumers and businesses make the transition to more secure payment standards. Another payment processing firm, MasterCard, is also planning to install the new terminals. With more than a million American financial data at stake, the new security measures, particularly the added layer of protection brought on by the new technologies, are expected to do more than fight back against identity theft. It is, on all fronts, expected to win. In what could essentially mean lost money for millions, Home Depot has just confirmed that their point of sale (POS) or payment systems have indeed been compromised. This massive breach in Home Depot’s data security may certainly impact customers in both Canada and the United States, but just how many is yet to be determined. Security analysts have speculated that the theft of data which occurred may in fact be worse than the incident which occurred at Target just last year. The largest home improvement chain in the United States has made statements assuring customers that it currently has no evidence to support that their online client information or debit PIN numbers have been compromised. No specific details have been given as to how many have been affected by this hack. The breach was first noticed about a week ago, by KrebsOnSecurity. They also noted the problem could extend as far back as April, and could impact over 2,000 of Home Depot’s US retail locations. It is worth noting that last year, when Target was breached, hackers stole an estimated 70 million pieces of customer data and at least 40 million credit card numbers. 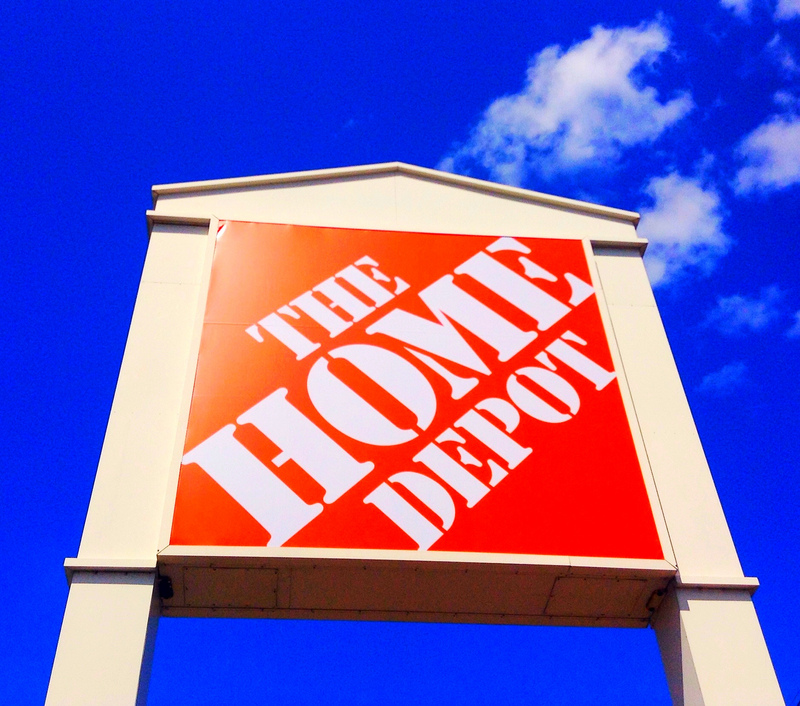 KrebsOnSecurity reported the hackers attacked Home Depot’s systems using a different version of the same malware which was used to hack into Target last year. This debacle has cost Target upwards of $146 million since the third quarter of 2013. Anyone who has used their credit or debit card at Home Depot should follow the same protective steps as those who lost information to the Target hackers. 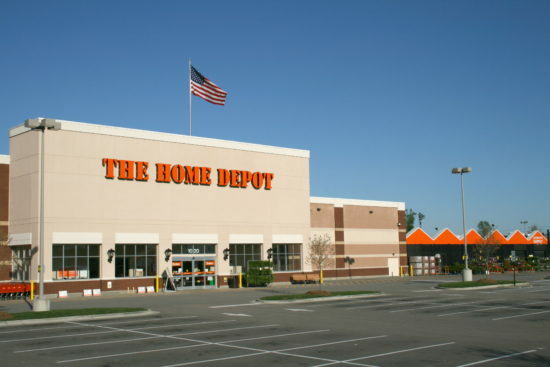 Home Depot has stated that their internal information technology security team is closely working with its banking partners and the United States Secret Service in hopes of gathering all the information they can in this investigation. Home Depot has made some hefty promises in hopes of making up for this serious blunder. They’ve promised free identity-protection services, such as credit monitoring, to all its impacted customers, much like Target did. 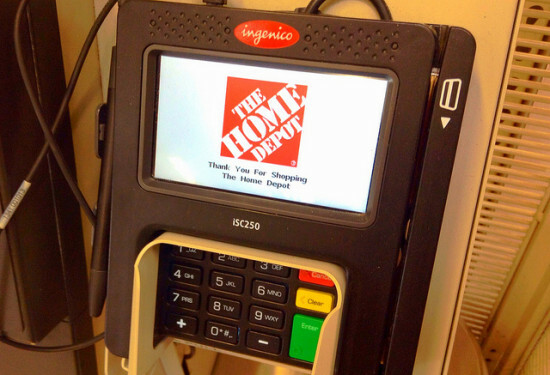 Home Depot has also said they have plans to roll out a new system that allows the use of chip-and-PIN cards in all of its retail locations in the United States by the end of 2014. With Independence Day almost upon us, one can’t avoid all the advertising about 4th of July sales on TV and in print. This might lead one to believe all retail stores will be open on the Fourth of July, even though it’s a federal holiday. For those who like to shop, the good news is that most retail outlets do remain open for this holiday, and they often have accompanying sales to try to drive traffic into their stores as well. Still, not all remain open (and many revert to holiday or weekend hours even though July 4 is on a Friday in 2014), so it’s best to contact your local store directly to confirm their hours on this day. Below is a list of some of the larger retailers, and whether they will be open or closed on July 4, 2014. Walmart is open July 4. If you’re in need of buying last-minute fireworks or food and supplies for the barbecue, your local Walmart will be open to sell you what you need at their 4th of July Event. There are a number of Walmart locations which have other businesses within their store (for example, a local bank branch). These independent stores may or may not be open on Independence Day. You should call to confirm if you plan to visit one of these stores. Target is open July 4. For those who want to do some shopping at Target, all US locations will be open on the Fourth of July for any shopping needs you may have. Be sure to take advantage of the many ways it’s possible to save money at Target if you decide to take advantage of their 4th of July sale. Costco is closed July 4. While most retailers remain open for the holiday, Costco is one of the few stores which remains closed to observe Independence Day. July 4 is only one of a total of six days during the year when their doors are closed. If you’re planning to have a holiday barbecue with lots of friends and family and need to stock up in bulk amounts, be sure to go earlier in the week and don’t wait until Friday to do so, since there will no way to buy anything on that day. BJ’s is open July 4. If you have a local BJ’s near you and want to do some shopping on Friday, their wholesale clubs will be open for the day, but they won’t be open during their normal hours. Instead, they will revert to their typical Sunday hours ,which is 9:00 am – 8:00 pm. Home Depot is open July 4. With the summer season now upon us, it’s a great time to do summer outdoor projects. All Home Depot stores will be open for business on Independence Day. You can take advantage of the long holiday weekend to get outside and do some of those projects you have been planning. If you do head over to Home Depot for their Red, White and Blue sale, be sure to take advantage of the different ways you can save money. Lowe’s is open July 4. All Lowe’s store locations will be open for the holiday on Friday for those who have weekend home projects to do. 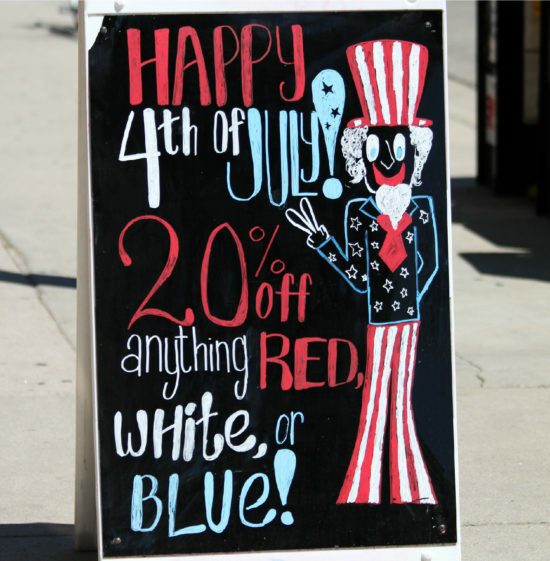 Most should be operating on their normal business hours, and they have a major 4th of July sale taking place. Best Buy is open July 4. If you have a local Best Buy in your area, and you’re in need of some electronic gadgetry, their stores will be open every day over the weekend, including Friday. They’ll also be having a 4th of July Day sale so that you can take advantage of some extra savings as well. Sears is open July 4. If you find that you’re in need of doing some home shopping, Sears will be having their annual 4th of July Sales and Values event. Their stores will be open for Independence day, but some stores may have special hours, so you may want to call your local Sears to confirm what times your local store will be open. Macy’s is open July 4. Macy’s stores will be open for the holiday, and they will be having a sale that corresponds as well. You may also want to check out their fireworks show on TV, live from the Brooklyn Bridge. There are plenty of Fourth of July sale opportunities at retailers this weekend, but it’s important to remember in order to save money, you already needed to plan to purchase those things. If you end up going to the store and buying something you weren’t planning to buy simply because it was a great deal, you aren’t actually saving money. You’re spending it. When you purchase something that isn’t on your needs list, you’re not really getting a deal no matter how good the discount happened to be. Also, if you do spend part of your weekend shopping for this holiday, consider putting together a small care package for military troops stationed overseas. 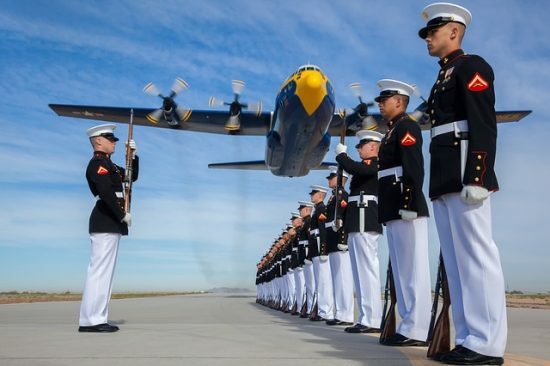 They would greatly appreciate the gesture, and they’re one of the reasons we’re able to celebrate this holiday. This article updated for July 4th, 2017. With Independence Day almost upon us, one can’t avoid all the advertising about 4th of July sales on TV and in print. This might lead one to believe all retail stores will be open on the Fourth of July, even though it’s a federal holiday. For those who like to shop, the good news is that most retail outlets do remain open for this holiday, and they often have accompanying sales to try to drive traffic into their stores as well. Still, not all remain open (and many revert to holiday or weekend hours even though July 4 is on a Tuesday in 2017), so it’s best to contact your local store directly to confirm their hours on this day. Below is a list of some of the larger retailers, and whether they will be open or closed on July 4, 2017. Costco is closed July 4. While most retailers remain open for the holiday, Costco is one of the few stores which remains closed to observe Independence Day. July 4 is only one of a total of six days during the year when their doors are closed. If you’re planning to have a holiday barbecue and need to stock up in bulk amounts, be sure to go earlier in the week and don’t wait until Tuesday to do so, since there will no way to buy anything on that day in their warehouse locations. BJ’s is open July 4. If you have a local BJ’s near you and want to do some shopping on Tuesday, their wholesale clubs will be open for the day, but they won’t be open during their normal hours. Instead, they will revert to their typical Sunday hours, which are 9:00 am – 8:00 pm. Home Depot is open July 4. With the summer season now upon us, it’s a great time to do summer outdoor projects. All Home Depot stores will be open for business on Independence Day. You can take advantage of the long holiday weekend to get outside and do some of those projects you have been planning. If you do head over to Home Depot on the 4th be sure to take advantage of the different ways you can save money. Lowe’s is open July 4. All Lowe’s store locations will be open for the holiday on Friday for those who have weekend home projects to do. Most should be operating on their normal business hours. Best Buy is open July 4. If you have a local Best Buy in your area, and you’re in need of some electronic gadgetry, their stores will be open every day over the weekend, including Tuesday. They’ll also be having a 4th of July day sale so that you can take advantage of some extra savings as well.